Planning for the holidays and not sure where to go? You may want to look at where your neighbours are going for inspiration. So, whether it's a long weekend or summer holiday from Birmingham Airport., here's the most wanted vacation list. It turns out that Brummies love nothing more than fun in the sun, according to a list of the most commonly searched destinations by Birmingham people on Travelsupermarket.com. The most sought after holiday spot for two years in a row has been Tenerife. That could be because it's the largest of Spain's Canary Islands, just off West Africa, with sun all year round. Tenerife also offers activities for all ages - from the famous Loro Park zoo to water parks and beaches for families with children. Meanwhile, party resorts like Los Cristianos and Playa de las Américas have all-night discos and bars that are a hotspot for singles and revellers. There's even a dormant volcano to explore for those that are more adventurous and it prides itself on its gastronomy with vineyards producing local wine and food delicacies like mojo sauce and wrinkly potatoes. Second up is another Spanish island - Majorca. This sophisticated island, which is part of Spain's Balearic Islands in the Mediterranean, has attracted celebrities like Michael Douglas and Catherine Zeta Jones, who have a villa here and was also used for filming locations in the hugely popular BBC thriller The Night Manager. Along with beaches, Majorca has the added cultural history of Roman, Spanish and Moorish invasion that left sites like Almudaina royal palace and the 13th-century Santa María Cathedral to explore. The capital is Palma, which has an array of shops, art galleries and fine dining restaurants but there are also lively coastal resorts filled with nightclubs, mini golf and boat parties, particularly at the height of summer. While it's crystal clear waters attract holidaymakers wanting to swim or do water sports including scuba diving, windsurfing, fishing, sailing and surfing. This year, there is a new number three in the list of The Algarve in the southernmost region of Portugal. Famous for its golf resorts, it is also lined with beaches that are packed with villas, hotels, bars and restaurants that cater well for the British as one of the region's main clientele. This is a place that boasts having 300 days or more of sunshine a year and 100 beaches to enjoy. 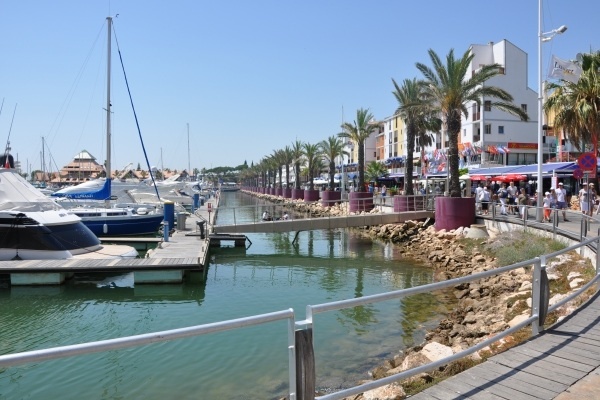 Vilamoura marina in the Algarve. The Algarve coastline is scattered with rocks, coves and cliffs set amid crystal turquoise waters that are absolutely stunning. This area also has a Moorish history that left its mark on the skyline with some fantastic architecture, especially in Silves, which was once the capital for the invading Moors. 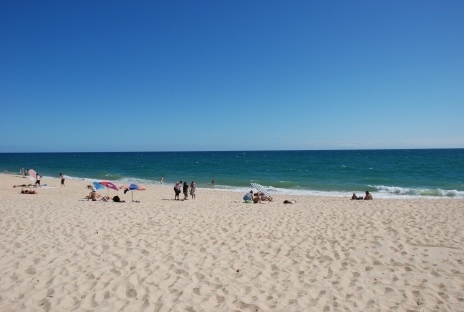 Lagos is the busy town where you can go clubbing, Vilamoura is a popular seaside town with lots of amenities while Sagres is quieter and good for nature walks and Tavira is a beautiful town to visit. Last year, this number three favourite went to Amsterdam. The Dutch capital is famous for its art museums, red light district and bars where you can legally smoke pot. The roads in this party city are filled with bicycles but there are also trams that make it easy to get around. If you want to indulge in culture, the Van Gogh Museum is exceptionally good with a wealth of the artists' paintings as well as history about the man himself. There's also the Rijksmuseum with paintings by the Dutch Grand Masters. History-wise, there is the house of Anne Frank to see, which is a mesmerising but also a sombre museum that brings to life the turmoil and tragedy of the Second World War that this Jewish diarist encountered. When it comes to food and drink, the canal sides are packed with bars and restaurants. It's worth checking out The Pilsner Club (locally called De Pilsener Club) as it's a historic cosy atmospheric pub with beer and snacks. 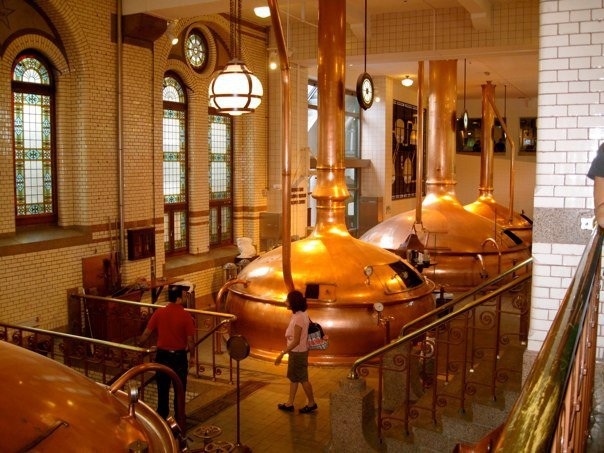 The Heineken Experience offers history on the brewery, beer tastings and tours. Interestingly, the most popular search destinations for the whole of the country has a slightly different feel to it. Greece is the most popular holiday venue searched by Brits. That's followed by Hawaii and Turkey, which is known for its history and culture in Istanbul or the beach and sailing hotspots on the Bodrum Peninsula. In terms of the most up and coming place to getaway from every day life, TravelSupermarket.com has identified Montenegro as the key destination for 2017. Current searches for Montenegro have more than doubled year on year. The Balkan country has beaches on the Adriatic as well as mountains regions and medieval villages. There's also Durmitor National Park, which is home to bears and wolves, and has glacial lakes and Tara River Canyon to explore. Along with this stunning scenery, prices are pretty low for food and drink and the cost of a pint typically comes in at a modest £1.70.